Product information "POPP 10 Years Smoke Detector without separated Siren Function"
The Z-Wave smoke detector detects resulting fire and smoke emission reliable. This is a Non-Siren version for extended battery life. Thanks to Z-Wave wireless technology you can define further actions triggered by the smart home control center in case of an alarm. To enhance safety, escape routes can be highlighted with automated lighting and unlocking or locking of shutters and doors. Thank to its integrated 10-years battery the smoke detector can be used for legally prescribed lifecycle without replacing the main battery. The Z-Wave modules battery can be replaced with just a few simple steps when the device informs the control center about low battery status. Low Z-Wave module battery has no influence to the smoke sensors functionality. This device is the first smoke sensor with Z-Wave which has the Q-label for extended quality. 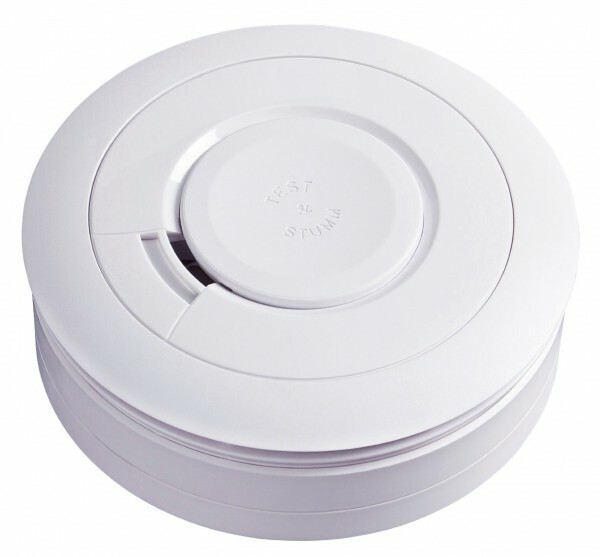 Related links to "POPP 10 Years Smoke Detector without separated Siren Function"